Protective parents, rejoice! The internet is about to become a safer place, moderately speaking, at least. Google says it will soon roll-out “YouTube Kids,” a child-friendly version of the video sharing site, for mobile devices. Web giant Google said this week that it will make an aptly-named new phone application, “YouTube Kids,” available for download for Android devices effective Monday, February 23. The free app will help mobile-minded adults allow their youngsters to experience the milder side of YouTube by way of a reportedly simple-to-use interface. The interface precludes access to the viewer-generated comment section, according to Google, and only allows links to pre-approved, kid-friendly content. "Parents were constantly asking us, can you make YouTube a better place for our kids," Shimrit Ben-Yair, the project's group product manager, told USA Today. ”(Year over year) we've seen 50 percent growth in viewing time on YouTube, but for our family entertainment channels, it's more like 200 percent." In 2013, a study undertaken by Common Sense Media revealed that more that 38 percent of kids under the age of 2—or nearly one-third of American toddlers—use mobile media. 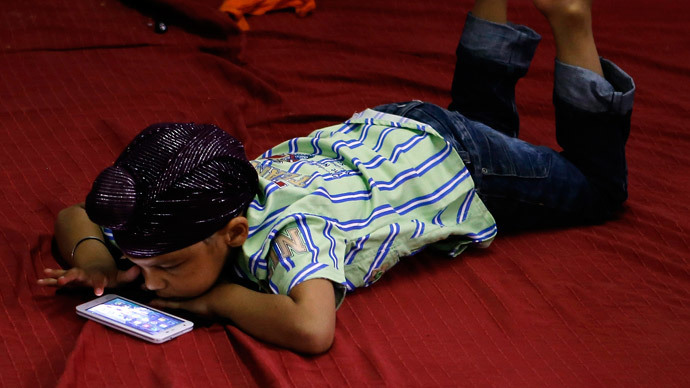 “The percent of children who use mobile devices on a daily basis – at least once a day or more – has more than doubled, from 8 percent to 17 percent,” in the year leading up to that report, researchers found. A preview of the new YouTube app provided to USA Today reveals that children will be given the option to tap any of five icons on the program’s main screen, which then will allow kids to access television programs, including Thomas the Tank Engine, a non-offensive internet radio station, educational clips and a category of special selected top videos. TechCrunch reported on Friday that the app contains instant access to content produced by Jim Henson TV, DreamWorks, National Geographic “and a range of high-profile YouTubers” once it is installed and put into the hands of a young one. "The images are big as are the tap targets for small fingers, and since most younger children can't type they can search with voice," Ben-Yair explained. Details about a possible Apple version for the Android’s top mobile competitor, the iPhone, have not yet been made available.